Might & Magic Heroes VII is ranked in the 21st percentile of games scored on OpenCritic. These warts considered, Might & Magic Heroes VII isn't enough of a refinement over VI to justify purchase if you already own that game. It's unfriendly to newcomers to the series, with nothing that qualifies as a tutorial included out of the box. And fans of the old games may find themselves put off by all the unnecessary visual flash. But devoted fans of the series will certainly find lots to do with the latest entry. Overall if you've enjoyed the Might and Magic Heroes games before then you won't be disappointed, if you've only tried Kings Bounty before then I'd suggest jumping into Heroes VII it will seem familiar but also a little more "real" in style. 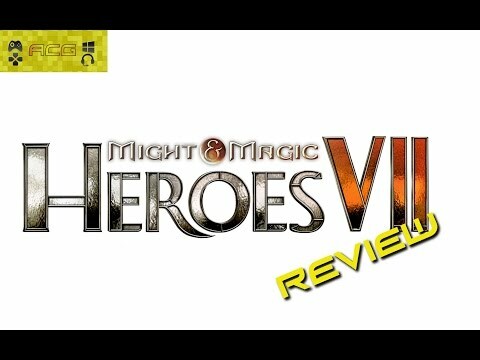 Might & Magic Heroes VII is probably the best entry in the series since the original trilogy, an experience that understands what makes the series great and delivers slightly updated takes on the core mechanics without any revolutionary features. All in all, Heroes of Might and Magic VII is a solid addition to the series. The game has plenty of content, beautiful visuals, and a terrific soundtrack to drive the story, but load times and unit balance need to be addressed if the game intends to be at the top of the series. And for goodness sake, do something about those scenario introduction cut scenes. Might & Magic Heroes VII is an okay game overall, but seems like it's more for existing fans of the series and doesn't cater to new comers at all. With no tutorial whatsoever it took me a good hour or so just to get started. Outside of that the difficulty can be adjusted, but the ability to auto-play battles makes things a tad easier than expected. This one is definitely not for newcomers to the series unless you don't mind fumbling around on your own for a bit while you get your bearings. Heroes 7 does have that "one more turn" quality that eats away the hours, but the game-breaking bugs, along with cheap cinematics and sound effects, ruin the experience. Also, since the stories take place in the past, there's no sense that players are impacting Ashan's fate until they unlock Ivan's campaign. Perhaps Heroes 7 will meet its potential after a few patches and expansions, but for now, it's tough to look past its flaws. More a service to existing fans than a new game in the series, Heroes VII is a huge game that entertains but fails to overwhelm. There's very little that's new about Might and Magic Heroes 7, and that's a good thing when it comes to its classic-style tactical roleplaying exploration and combat and menus that make managing resources easy to understand and let heroes explore at a rewarding pace without frequent backtracking. It manages to scratch a very old PC gaming itch, at least between the awful cutscenes and performance problems. Might & Magic Heroes VII has some very pleasing moments, but its visual issues and strange reluctance to welcome new players could lead it to an unfortunate downfall. If you are looking for a AAA strategy title, this release in the series will disappoint you with its limited production values, but if you are like me and more interested in the tactical combat than anything else, there is still good fun to be had here. Even as a budget title the game would struggle to be worth it, but at a full retail price and as an extension of one of the PC's longest running franchises, it's in a sorry state. Whatever the reason may be, this game is little more than a failure in my eyes. Few compelling scenarios in a midst of poor AI, terrible optimization and a myriad of bugs. You’re better off sticking with the classics. 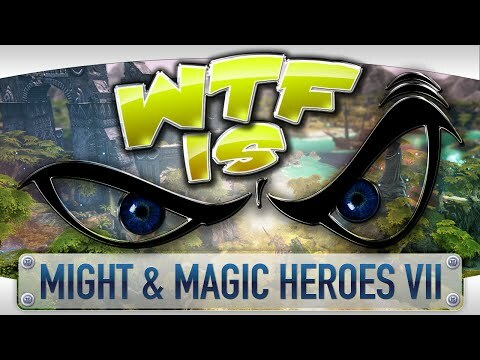 Might & Magic Heroes 7 may not the series' lowest point but it's a low point all the same. Even with proper attention given to eradicating bugs, it fails to capture the magic of the franchise's best while offering a compelling experience to turn-based strategy fans. Bland visuals, rehashed game play, and constant bugs and minor irritations completely overshadow the core Heroes experience. 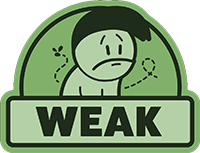 These criticisms, along with the game's complete lack of new ideas, makes it the weakest entry in the long running series. Might & Magic: Heroes VII is best avoided and forgotten. As much as I respect this series, I cannot recommend that you purchase Might & Magic: Heroes VII. Do not play Heroes of Might and Magic VII. From the game's fundamentally flawed technical foundation to the abhorrently misdirected implementation and communication of design elements, this is one massively missed opportunity.